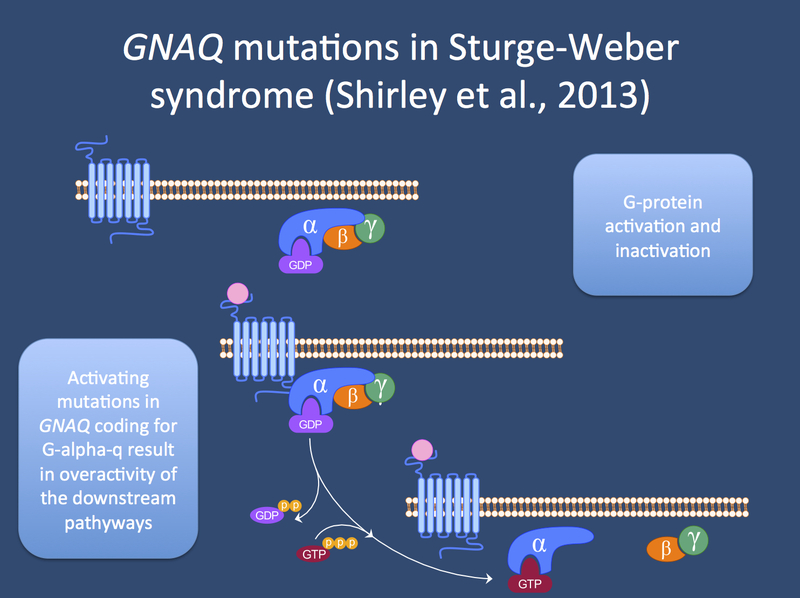 Activating mutations in GNAQ coding for an alpha subunit of a G-protein leads to Sturge-Weber syndrome and port-wine stains. GNAQ is implicated in transmitting signals from receptors at the cell membrane to the MAPK pathway, which is implicated in cellular growth. An activating mutation would therefore increase the signaling down this pathway, which may lead to the capillary malformations seen in Sturge-Weber syndrome and port-wine stains.